Previous post: What is Kings Canyon High School? 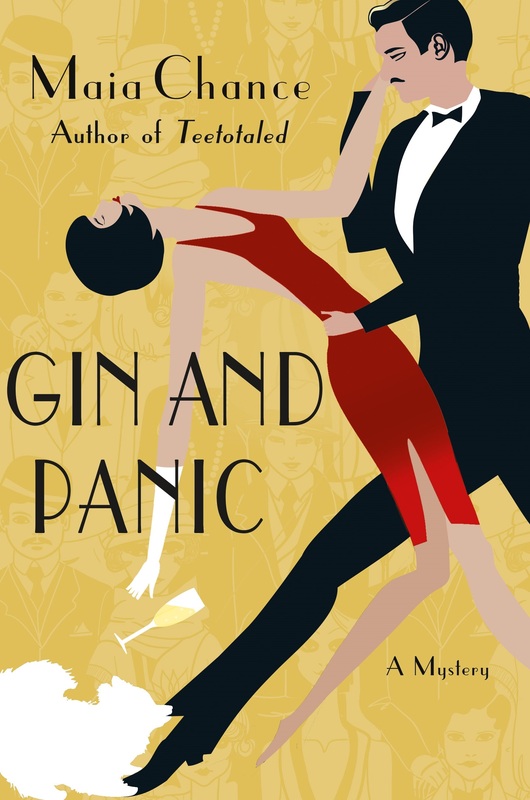 This week we have a review & giveaway of Gin and Panic by Maia Chance, along with an interesting interview with Maia. Details at the end of this post on how to enter to win a copy of Gin and Panic. We also have a link to order it from Amazon, and from an indie bookstore where a portion goes to help support KRL. Lola Woodby is an ex-Society Matron. When her cheating husband kicked the proverbial bucket, she was left penniless. What’s a gal supposed to do? Lola formed the The Discreet Retrieval Agency with her former cook, Berta, as her sidekick. As a cook, Berta is excellent. As a sidekick, she sometimes seems more in charge than Lola. Still, the gumshoe business is a good fit for the both of them. Lola is in love, she’s pretty sure anyway, with Ralph, another detective. Alas, he’s not the marrying sort. A new case is a much-needed diversion. Lord Sudley wants them to retrieve a rhino’s head, taxidermied of course. He swears he shot it, but his friend Rudy claimed it. How hard could it be to figure out which rhino is the right one, take it off the wall and transport it to Lord Sudley’s car, all while not getting caught? What seemed like easy money turns into a hot mess. Although Prohibition is in full swing, the party is a drunken brawl that goes on until the wee hours. Lord Sudley thinks the best time to get the prize is while most of the guests are out hunting. Of course, that plan fails as Rudy decides not to go on the hunt and is, in fact, found dead in his room following an argument with his current girlfriend, Coral. Unfortunately, she has an alibi, as do all the guests. Lola says Rudy’s death is not their problem. They still have the commission to get the rhino. Isobel, another guest, also shows undue interest in it which is confusing to say the least. However, Lola and Berta are able to get it off the wall without being seen—and discover a bag of uncut diamonds stuffed inside. Disappearing diamonds, an unexpected heir, another death, the mysterious housekeeper, oysters, Jimmy the Ant (a mobster) and Lem (head mobster), plus Lola assigned to be the Matron of Honor for her sister’s wedding (the original choice eloped with the chauffeur), and copious amounts of gin and tonic, all conspire to make Lola’s life a madcap adventure. This is the third book in the series. Lola and Berta are a treat. Berta’s common sense stabilizes Lola’s flighty thoughts. The 1920s are the perfect setting for the pair. Ralph is sure to be around as well. Cedric, Lola’s Pomeranian, adds to the fun. Besides, Lola loves cake. Who wouldn’t like her? Maia: Like almost every writer I know, I’ve been writing since I was really little. My mom still has my first work, about two “drafs” (giraffes), and my first series (four installments), starring the rather adventurous Mousey and Rat. Maia: My first mystery novel, Snow White Red-Handed, was released in 2014. I can’t believe that was just three years ago! It’s the first of three Victorian-era novels that interweave amateur sleuth plots with classic fairy tales. Maia: Way back when I was in my 20’s, I published a couple of historical romance novels that are, well, let’s say they were good writing practice, heh-heh. ANYWAY (*clears throat*), I have also published two short stories, and I have a third coming out soon. My short stories have all turned out to be mystery-fantasy, a combination I find really satisfying. Maia: My latest book, Gin and Panic, is the third in the Discreet Retrieval Agency series. It’s set in 1923, and takes my sleuth, Lola Woodby, and her sidekick (and former Swedish cook), Berta, to the seaside Connecticut mansion of big game hunter Rudy Montgomery. Someone gets blipped off and some stolen diamonds crop up. From there, they embark on a wild ride from the mansion to a nearby fishing town, to Boston, to the speakeasies and broadcast radio studios in New York City. Maia: My stories are primarily to entertain, but I do invest the characters’ relationships with things I have known in my own life, so hopefully there is some resonance about human beings hiding in there somewhere. Maia: I write Monday through Friday while my kids are at school. The rest of the time I’m a soccer chauffeur, violin practice assistant, play date secretary, and a cook who desperately wants—but never quite gets—the coveted Kid Stamp of Approval for Dinner. KRL: Do you outline? If not, do you have some other interesting way that you use to keep track of what’s going on, or what needs to happen in your book while you are writing it? Maia: I always write an outline first, although things always morph a great deal in the revision process. Maia: My most focused and inventive time is right after the kids leave for school, with my second (and then third) cup of coffee sitting next to me. I’m often so eager to strike at this perfect time that I don’t get out of my pajamas until after lunch. Sometimes that feels like a privilege. Other times it’s pretty bad for morale, particularly when my husband is going off to a meeting all spruced up in a suit. Maia: Well, I’m not sure. I mean, it felt hard—lots of rejections rolled in, of course—but on the other hand, I did it, and it didn’t take several years. I just feel really fortunate to get to do what I love. Maia: Getting rejected at the query level stage is especially rough, because you don’t get a lot of feedback. Just no’s. When I was first trying to get published—in romance—email wasn’t widely used for queries yet, so you’d send a self-addressed, stamped envelope out with all your queries, in which you’d (most likely) get your cookie cutter No letter. But as if those cookie-cutter responses weren’t bad enough, one time I just received the empty envelope in the mail. Yeah. I got the message. Maia: This isn’t a signing story, but the one and only time I sighted someone reading a book of mine, I was at a resort in Hawaii. I saw a woman reading the Readers Digest Select Editions volume in which one of my mysteries, Come Hell or Highball, is included. I was so excited! I stopped and said I was the author of Come Hell or Highball. She looked at me coolly over the tops of her sunglasses and said, “Oh. I wasn’t planning on reading that one.” Lucky for me, there was a tiki bar rather close at hand to assist me in forgetting my embarrassment. Maia: I just want to keep on telling stories and honing my skills and having fun. Maia: I have an endless list of writers who I admire for their insights or craft or work ethic, but lately in my house we’ve been reading aloud the Harry Potter books. It’s been taking months and months, but we’re enjoying every page of Rowling’s incredible world and ever-developing characters. I’m amazed at the story that’s unfolding about authoritarianism, written in a way that my seven-year-old gets. 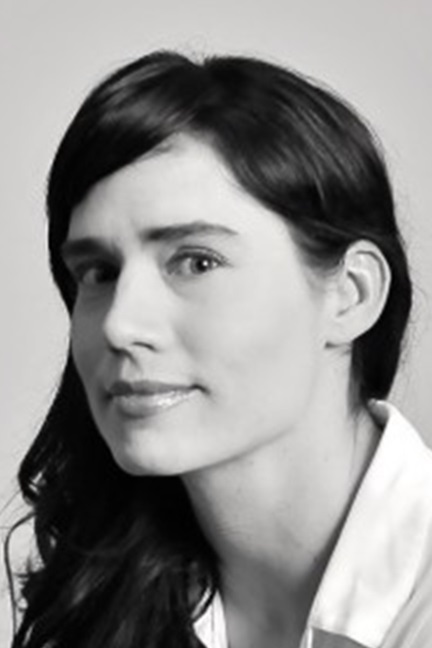 Maia: Since most of my stories are historical, I do quite a bit of research, mostly online, using archived city maps, old photographs, and nonfiction works. I also do a good deal of research reading novels and stories that were written when my stories are set. It’s marvelous what rich details and slang you can pick up from fiction. Fiction also gives you the feeling of a time period much more viscerally than any nonfiction book can. Maia: Everything. Really. I’m an unrestrained reader. In the past few weeks I read, let’s see, a British chick-lit by Jill Mansell (LOVE her! ), The New York Review of Books, and Kimberley Rae Miller’s memoir Beautiful Bodies. I’m still in the middle of Patricia Highsmith’s fourth Tom Ripley book, The Boy Who Followed Ripley. Maia: Ever since my kids were born (they’re now five and seven years old), I haven’t watched much TV. I don’t have enough time, and I’d rather spend the free time I do have reading. However, I have an abiding love for Brit-Com, especially Little Britain and Are You Being Served? The writing (and acting) on both of those is stellar. Maia: Write what gives you pleasure, and/or what you feel like you MUST write about for whatever reason. Then, even if it doesn’t get published or even turn out well, you will still have satisfaction in your work. To enter to win a copy of Gin and Panic, simply email KRL at krlcontests@gmail[dot]com by replacing the [dot] with a period, and with the subject line “gin,” or comment on this article. A winner will be chosen November 11, 2017. U.S. residents only. If entering via email please include your mailing address, and if via comment please include your email address. I love this cover. The book sounds like a great read and I love historical mysteries. Good interview too…I can see both sides of not getting out of your PJ’s till noon.. I love this author and enjoyed the interview! Thanks for this chance to read this book! Sounds like a delightful story!! Great interview, always enjoy learnibg about authors. This would be a new to me book..Sounds interesting. Great cover! Sounds like a fun read. Would really enjoy reading.